PGA Tour winner Patrick Reed's media guide lists his favourite quote as "Nerves just mean you're prepared." Well, the the 23-year old rookie seemed more than prepared for the Wyndham Championship playoff Sunday, beating fellow rookie Jordan Spieth with a birdie on the second playoff hole. When it comes to his equipment, Reed has had an interesting rookie season. He started the year as Nike player, with a bag full of Nike clubs. He played 14 events, missed 8 cuts and needed to make a change. At the HP Byron Nelson Championship in May, Reed switched from Nike to Callaway. Since then, he has made 8 of 9 cuts and won his first PGA Tour title at the Wyndam Championship on Sunday. Reed has embraced a lot of Callaway's latest equipment, including the new FT Optiforce driver, three Callaway Mack Daddy 2 wedges and an Odyssey White Hot Pro #3 putter. In the three events he's played with the Callaway FT Optiforce driver, Reed has finished T7th, T9th and 1st, averaging 13.4 more yards off the tee. Interestingly, his 9.5-degree Optiforce driver was the only wood in his bag last week. The rookie had two 2-irons in play, with one bent to 15 degrees and one at 18-degrees. 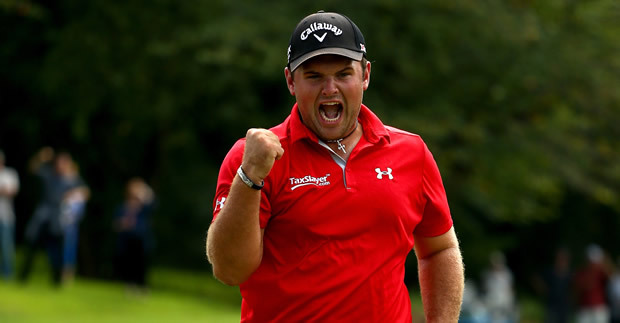 Following in the footsteps of Callaway's Phil Mickelson, Reed also holed his winning birdie putt with his Callaway HEX Chrome+ ball.